Geothermal energy has been gaining popularity as an eco-friendly way to heat and cool a home at a fraction of the cost of fuel-burning systems or even conventional air-source heat pumps. While this energy source does offer a lot of benefits, it’s not ideal for everyone. 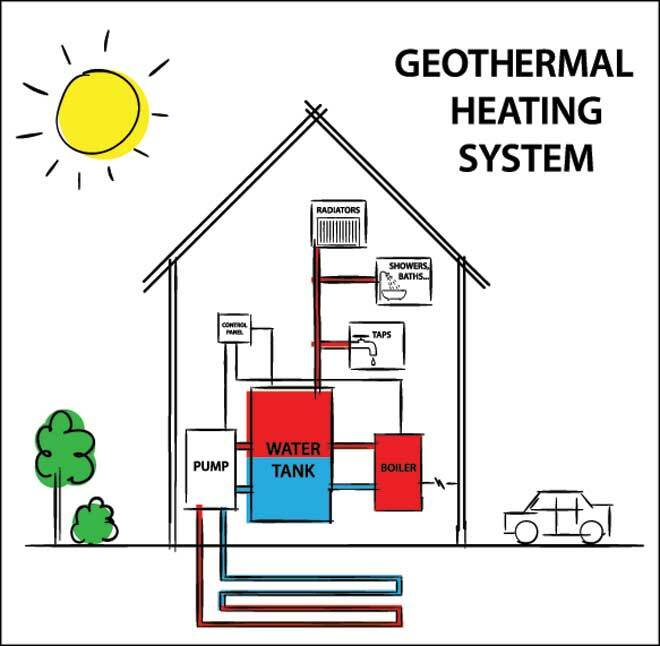 If you’re considering having a geothermal (ground-source) heat pump installed in your home, get to know what this system can do for you as well as the challenges involved in having one put in. Geothermal is one of the most reliable energy sources there is, and the efficiency of geothermal heat pumps means they cost little to run. Fossil fuels, such as oil and natural gas, aren’t easily renewable, so the oil and gas industry is continually developing new ways to find, recover, and conserve these fuels. While there’s debate over whether we’ll ever run out, the fact remains that these fuels are a dwindling resource. To make matters worse, prices fluctuate unpredictably due to economic and political events. Residential solar power, while highly renewable and safe from the effects of international events, isn’t a practical option everywhere. Even in areas where solar power is a viable way to heat and cool a home, varying weather conditions make it somewhat unreliable. 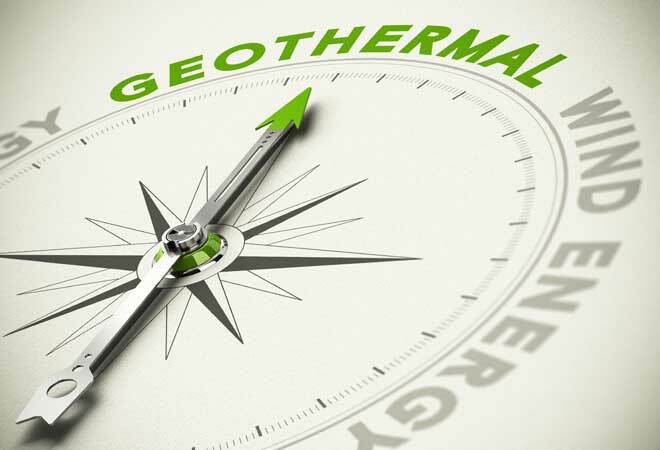 Geothermal energy is drawn from heat generated by Earth’s core, so it will never become harder to extract, and there’s no risk of exhausting it with residential heat pumps. This heat is relatively constant year round, so your home won’t be at the mercy of the weather. Because geothermal energy doesn’t have to be imported, political events won’t affect your energy costs. Lower bills are one of the biggest draws of geothermal energy, and when used for home heating and cooling, it definitely delivers. Not only are geothermal heat pumps more efficient than fuel-burning systems, they’re also three to five times more efficient than conventional air-source heat pumps. The efficiency of an air-source heat pump depends in part on the outdoor air temperature, which fluctuates greatly throughout the year. Because a geothermal system uses the ground, which stays at a relatively constant temperature, it can run more efficiently than an air-source model. A geothermal heat pump can also provide you with hot water, so you’ll save money there, too. Your exact savings depend on your climate and how much you run your heat pump. On average, most households save between 30 to 60 percent on heating and 25 to 50 percent on cooling. Geothermal energy is one of the most environmentally friendly, least polluting sources of energy there is. It has less impact on the Earth than any other power source. With no mining, processing or shipping involved, using geothermal energy to heat and cool a home is a nearly emission free process. Geothermal heat pumps need a source of electricity to run, but you can make that more eco-friendly by installing solar panels to power the pump. 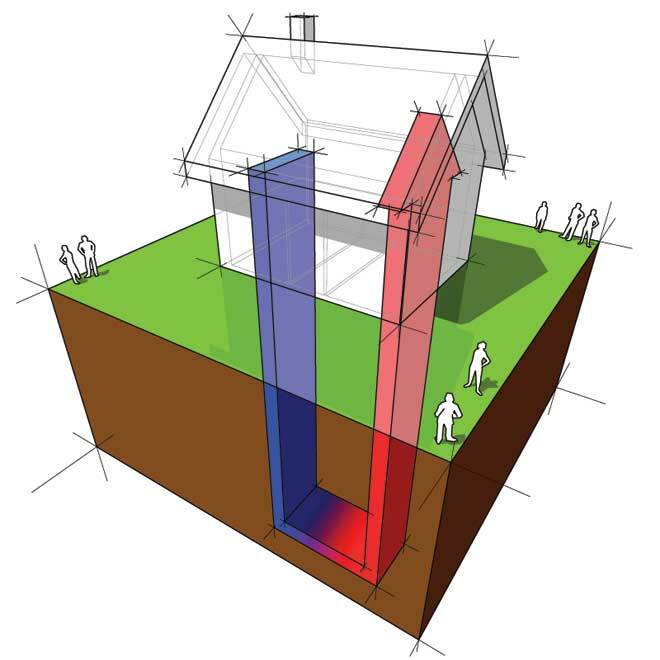 A geothermal heat pump will outlast nearly any other heating and cooling system. The pumps run reliably for around 20 years, longer than a conventional air-source heat pump, boiler or furnace. The ground loops typically come with a warranty for 25 to 50 years, but they can remain usable for as long as 200 years. With few moving parts in these systems, there’s little that can go wrong, so breakdowns are rare. You’ll need to have annual maintenance performed, and open-loop, water-source systems require a little extra care due to mineral and sediment buildup. Unlike air conditioners and air-source heat pumps, geothermal heat pumps have no outdoor parts. There’s nothing outdoors you’ll need to clean, clear plants away from or protect from storms and vandalism. Because all parts of the planet contain some geothermal energy, a geothermal heat pump can be installed nearly anywhere. If your property doesn’t have the space for a horizontal ground loop, a vertical ground loop is an alternative option. A vertical loop takes up less ground-surface space, but it’s also more expensive to install. The cost of geothermal systems is falling, but they’re still more expensive to install than traditional heating and cooling systems. What’s more, not every site is ideal for geothermal. One of the biggest drawbacks that puts many homeowners off switching to a geothermal heat pump is the high initial cost of installing one. A system for the average-size home runs between $10,000 to $20,000. If you’re planning to install any new heating and cooling system, first take steps to improve your home’s energy efficiency, such as upgrading your attic insulation. Doing this lets you install a smaller, and therefore cheaper, system as well as enjoy lower monthly bills. By rewarding you with lower bills, an investment in a geothermal system usually pays off within five to 10 years, depending on your heating and cooling needs. If you plan to sell your house within the next 10 years, the investment might not be worth it. Not all locations are equally well suited to using geothermal energy. Some areas have more ground heat than others due to volcanoes and other natural features. In the United States, homes on the west coast will get better results than those in the Midwest and southeast. For a heat pump with a ground loop, how close the bedrock is to the soil surface and the type of soil you have are influential factors. For instance, where the soil is shallow, a vertical ground loop might not be possible. If you’re considering a water-source geothermal system, you’ll need a nearby body of water that can supply 1.5 gallons of water per minute for every ton of heating and cooling capacity your home needs. Many locations just can’t supply that flow rate. In addition, the mineral content and pH of your water should be suitable for use with a geothermal heat exchanger. If you don’t have a nearby natural body of water, such as a pond or stream, that’s large enough to handle the water used by your heat pump, you’ll need to have a return well installed. For a reliable, environmentally friendly, and low-cost way to heat and cool your home, it’s hard to beat geothermal energy. Before you set your heart on installing a geothermal heat pump, though, get a solid estimate of how much it will cost to install and how long your payback period will be. If the upfront costs are outside your budget or your property isn’t well suited to geothermal, another eco-friendly option, such as solar power, might be a better choice.